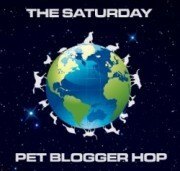 Saturday Pet Blogger Hop Plus...Cat And Banana Peel Don't Mix! 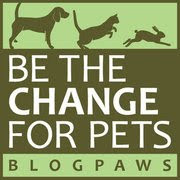 Don't forget to check back tomorrow for Week # 64 of "Living with Your Pet" tips gathered for the pet lover in all of us. LOL cats and peel... too funny. Have a fun time and hope you find some squirrels to chase. Have a super Saturday. I'm laughin' at that curious kitty too,,,pretty funny stuff. 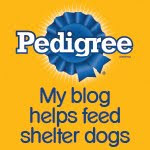 Aren't you glad that we canines are not so timid,,,well, not always anyway, but that's a whole new story. Adios, Timmy,,,and I hope you have a great week-end !